I saw this title on the Rainbow List and loved the title. I didn't love the cover so I thought I'd try it before buying it. It is 100% amazing. 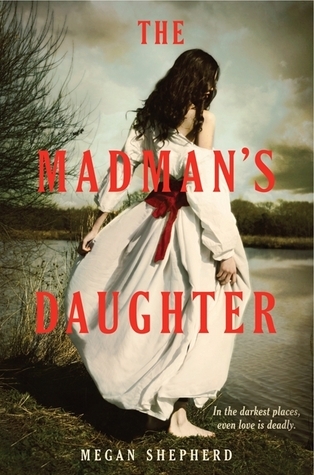 I have read Malinda's other two novels and felt fairly lukewarm about them. This one really was incredible though. Just different and intense. A surprising read for me. It was part of Scholastic's Mother-Daughter BookClub. 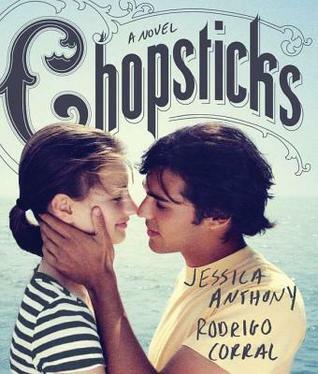 It was just so well-written and I adored the main character. YES! This book is amazing. This was such a lovely book. I wish I could cut out the section I didn't like, but even with it I am so in love with this novel. Very different from Dirty Little Secrets, but amazing. I really enjoyed the time travel in this novel. From the cover to the last page I adored this book. A perfect mystery-blend. The best zombie novel I've read. Not zombie heavy, just lovely. A very exciting novel about witches, I hope they come back in style, because this was delightful. Libba Bray is just brilliant. The setting and the creepiness make me want to read this one again (with the lights on). This book was beautiful. If there is a YA novel more beautiful and heartfelt than this one I want to know about it. So few words, but so much emotion packed into it. So you often find that the movie is not nearly as good as the book. For one reason or another it just doesn't meet expectations. Things get dropped and the can make the movie just plain not as good. What strikes me funny about how bad this movie was is the fact that the author of the novel wrote the screenplay for this. Despite this fact the movie seemed like a loosely based version of the novel. I suppose the movie was more entertaining, the book would probably be more closely similar to a documentary than a blockbuster. It seemed like too many things were changed and dropped though. Another point that bugged me was Abe's superhuman strength and the disregard for the laws of physics. So many scenes in this movies suspended belief. Why did Abe have to have superpowers in the movie? He didn't in the novel and it was perfect, it made sense. Then to watch the movie it just seemed crazy. Why couldn't Abe have just built up his strength? Why the magical? I was very disappointed in this movie. Maybe I would have enjoyed it slightly more if I hadn't read the book? Still the physics and superhuman strength bugged me quite a bit. Watch it if you dare. Everyone knows the story of president Lincoln and the Civil War. Some people know the story of his personal life. No one, until know knew the secrets Lincoln kept. These secrets will change the world as you know it. 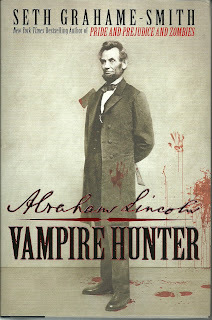 Vampires were at the heart of the slavery problems in the south, and now you'll be able to read all about the truth. Some may find the book to heavy with historical fact, but I thought it was absolutely splendid. Each page was new (to me) information about Lincoln and his personal life. You can tell a lot of research went into this novel and it makes it that much more perfect. 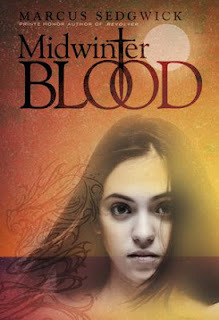 I loved that this book wasn't heavy with vampirism. 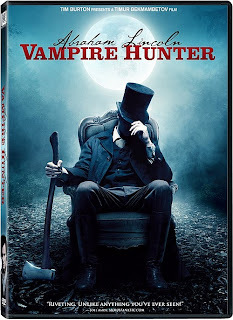 There was just enough to make it realistic and entertaining, but it wasn't another vampire love story. Every character in this novel, real or fake, was brought to life. This is a great historical fiction novel with just enough spice to make things interesting. 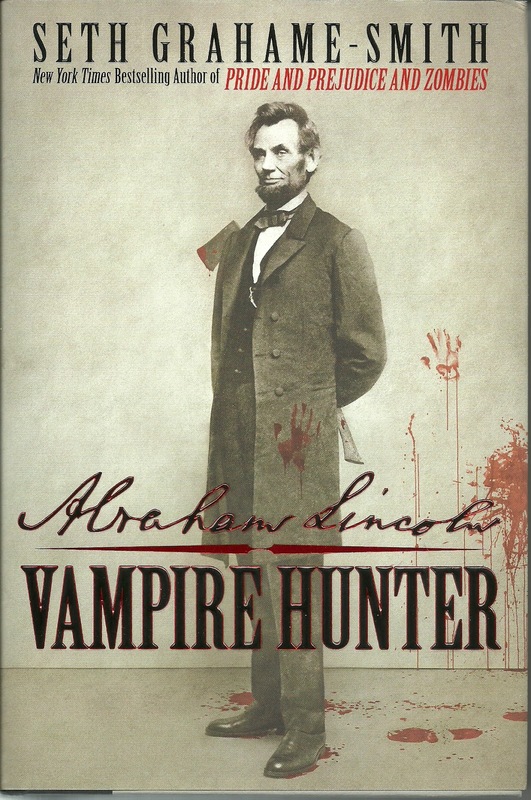 If you've ever wanted to know more about Abraham Lincoln or are just looking for a great read, check this one out. "I was still bleeding...my hands shaking." "'I tell you,' said Poe, 'some great calamity awaits us.'" CANDACE. Not just any babysitter—she's a Teen Genius, thankyouverymuch! What happens when four best friends find themselves splattered with mysterious purple goo during a routine sleepover? Iris, Cheri, Scarlet and Opaline are about to become… THE ULTRA-VIOLETS! It smells super delicious, and the few I've already have are really good. Ariel's best friend went on a trip to visit a college in Berkley, she went missing. Now Ariel decides she still has to go to Berkley, because maybe she'll find her friend. Maybe she'll find out what happened to her friend. The only reason her parents let her go, is because her mother develops cancer and they don't want Ariel around.While in Berkley though, Ariel stumbles upon a party at a strange house. The people responsible for the party are slightly bizarre too. Ariel isn't sure what it is about them, but their weirdness seems to only draw her in. Ariel's world is in a thousand pieces and she just wants everything to come together again. This is the Francesca I know and love. I'm so glad to have her back AND a murder mystery no less. Although that's not quite an accurate description of what this story is about. It's about everything, but it's really about growing up. I love how un-eloquent the dialogue is, it makes the story realistic. The characters don't always know what to say or the best way to say it. It's raw. I think dialogue is almost the most important part of the story (unless the story doesn't contain dialogue). The way this dialogue is written I felt much closer to the characters, because there was no stiff speech blocking me out of their heads and hearts. Ariel was a pretty interesting character. I love coming of age tales, because you get to see a lot of growth in a character over a shorter period of time. Ariel is naive and searching when she comes to Berkley and by the end of everything that happens she's a different girl. Then you have John Graves. He is interesting to the max. Anyone shrouded in mystery is interesting. The little group he belongs to is just completely removed from the norm, but people don't seem to mind. They are super strange and everyone is still drawn to them, including Ariel. The writing was perfectly lyrical and full of whimsy like a Francesca Lia Block should be. Every paragraph is crafted in a way to lift up your brain to dance in the sky. The story comes to a perfect conclusion, one that seemed to be lurking throughout the whole story. 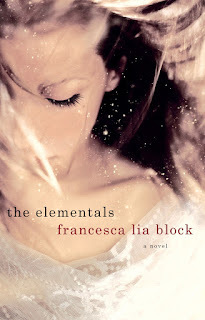 If you are a Francesca Lia Block fan or a fan of lyrical writing definitely check this out. The story is different from what she usually writes (still great) and the writing is beautiful. "Did you cry, did you scream, did you try to run?" "The sky was filled with stars like pieces of broken jewels and the sea below the precipice was like tatters and shreds of dark silk." I just need to know. I need to know!!!! The design of this book is just fantastic. I am not sure how I haven't read it yet, but everything about it is gorgeous. If you have a chance to check out a copy of it, you'll see what I mean. If you didn't read my review, I loved it and I need a finished copy of my own. I can't wait to find out what happens next. 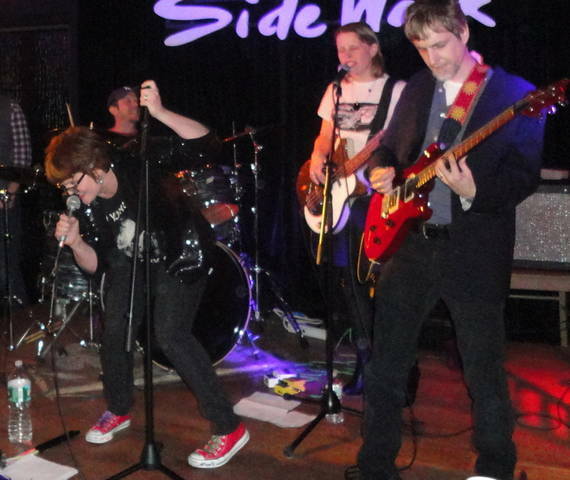 I enjoyed Wildefire quite a bit. This book was amazing and is gorgeous. I borrowed it from the library, but would love to have it in my collection. I really loved The Name of the Star and can't wait to dive back into this world. I seriously love everything Scott Pilgrim and desperately want these. Loved The Near Witch and Ash-born Boy and need to read this.